Violinist Vijay Gupta has been called “the most interesting man in the Phil” and was, earlier this year, the subject of a profile in the New Yorker. He won a spot in the Los Angeles Philharmonic at age 19, and by then had already earned a master’s degree from the Yale School of Music. And he is, as his website implies, as much an advocate as he is a musician – a powerful speaker on behalf of marginalized communities in this country, and especially for the Skid Row community of people experiencing homelessness in downtown Los Angeles. 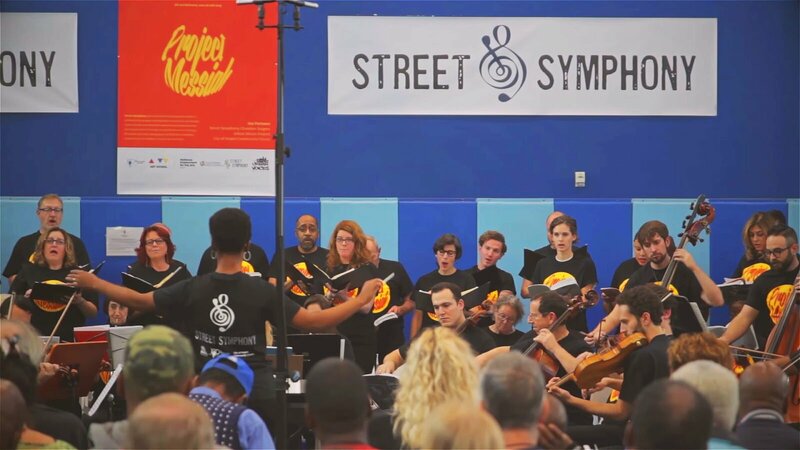 It’s there that he co-founded Street Symphony, an organization that offers artistic programming for those who live in Skid Row, and which is redefining what it means for musicians to be engaged in their communities. Earlier this month, I had the chance to hear Gupta speak at the opening session of the conference of the League of American Orchestras, which took place in Chicago, and it was so unlike any other speech I’ve heard in the classical music world that I scrambled together an interview with him and his Street Symphony co-founder Adam Crane (VP, External Affairs of the New York Philharmonic) in an echoey room of the Palmer House so that I could share his thoughts you, which you can hear below.